On Election Day 2017, Floridians approved a constitutional amendment regarding the use of marijuana for medicinal purposes. Tampa Bay’s ABC Action News WFTS reported on Amendment 2 on January 3, 2017, the day the new law went into effect. In general, the amendment allows doctors to prescribe medicinal marijuana to more patients that qualify for treatment; it also makes more potent strains available for the patients suffering from eligible conditions. Still, while Amendment 2 on medicinal marijuana relaxes the laws that would normally result in possession or trafficking charges for offenders, you may be charged with drug crimes in Florida if you don’t qualify under the rules. Prior to the effective date of Amendment 2, Florida did have a law in place that allowed access to medical marijuana for certain patients. 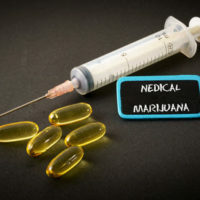 However, the eligibility rules were quite strict, so only a certain group of patients could obtain a prescription from a doctor; plus, physicians could only prescribe a low-THC type of medical marijuana, which had a limited impact on the patient’s medical condition. Amendment 2 increases access to medicinal marijuana for qualifying patients and allows doctors to prescribe more potent strains to alleviate the effects of a patient’s condition. To be eligible, a person must suffer from a “debilitating medical condition,” as defined by law. Cancer, epilepsy, glaucoma, multiple sclerosis, and AIDS are just a few examples of the types of ailments that qualify a patient for a medical marijuana prescription. If you don’t qualify for a medicinal marijuana prescription under Amendment 2, the same drug crimes laws apply for possession and trafficking. The nature of the crime depends upon the amount of marijuana you are carrying, as well as other circumstances. Actual selling of marijuana is a felony that carries a potential prison sentence up to 15 years and a $10,000 maximum fine. Also, keep in mind that many drug crimes in Florida include sentences that impact your driving privileges. Your driver’s license may be suspended if you’re convicted, regardless of whether the offense was driving-related. Amendment 2 went into effect on January 3, 2017, but it’s important to keep in mind that you must qualify under the very specific eligibility rules about medicinal marijuana. If you’re not eligible, you may still be charged with possession or trafficking, both of which carry severe penalties under state law. It’s important to work with an experienced Florida drug crimes attorney who will fight for your rights under the law. Fort Lauderdale lawyer Kevin J. Kulik has represented many clients facing drug charges under both state and federal law, assisting them through the complex criminal process. Please contact our office today for a confidential consultation or to discuss your case in more detail.